You should never regret anything in life. If it's good, it's wonderful. 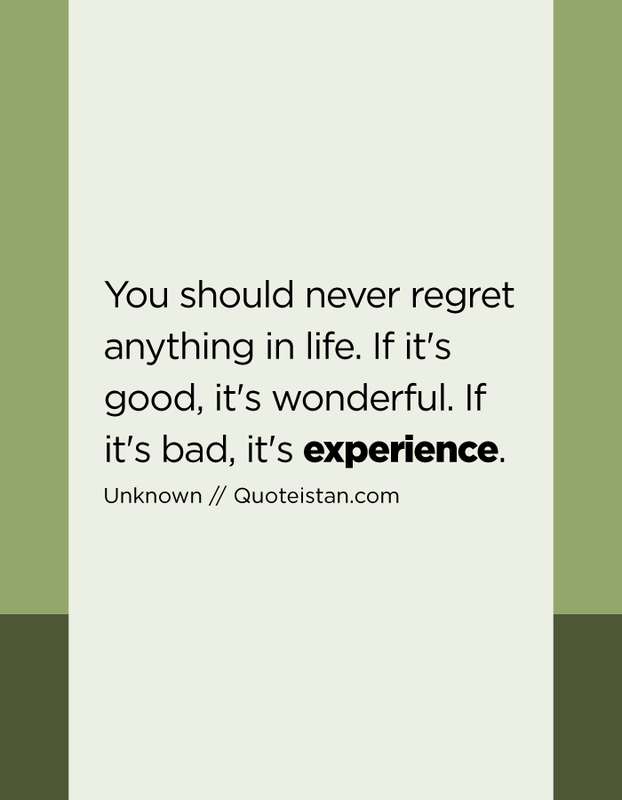 If it's bad, it's #experience.